_This feature relates to the Nuvolari Lenard interview in the November issue, which you can buy now. _ Italian yacht design duo Carlo Nuvolari and Den Lenard have penned some standout yachts in their time, but one of the best Nuvolari Lenard yachts is the iconic Alfa Nero, often credited with showcasing the first superyacht infinity pool. Superyacht Alfa Nero's pool and exterior styling by Nuvolari Lenard still looks modern as can be despite the fact that she was launched by Oceanco in 2007. Italian yacht design duo Carlo Nuvolari and Den Lenard have penned some standout yachts in their time, but one of the best Nuvolari Lenard yachts is the iconic Alfa Nero, often credited with showcasing the first superyacht infinity pool. Superyacht Alfa Nero's pool and exterior styling by Nuvolari Lenard still looks modern as can be despite the fact that she was launched by Oceanco in 2007. Delivered in August 2015, Atlante is one of the newest yachts to make the list of best Nuvolari Lenard designs. 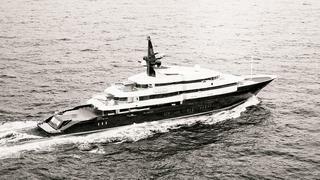 This marks a continued collaboration between the design house and the Italian builder CRN. However, Atlante stands out from previous CRN yachts penned by Nuvolari Lenard for her bold, militaristic exterior lines. Parisian designer Gilles & Boissier has styled the interior. 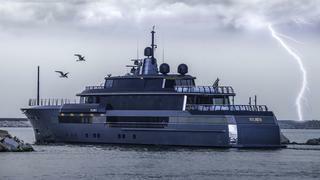 Nuvolari Lenard has penned many outstanding yachts for Dutch builder Oceanco, but one of the most famous is Seven Seas, commissioned by movie director Steven Spielberg. 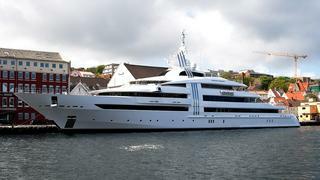 Launched in 2010, 86 metre Seven Seas is notoriously private, but it appears that the generous director " charters" the superyacht to his celebrity friends. Designed inside and out by Nuvolari Lenard, Palmer Johnson's 64 metre Lady M offers power and grace in abundance. She can go from zero to 28-plus knots in just one minute and 28 seconds, proving her powerful prowess. Yet this sporty supreyacht is really designed as a family yacht, suiting her owner's brief as the ideal place to spend time with friends and family. An earlier – and smaller – project between Palmer Johnson and Nuvolari Lenard that's one of the Italian design house's best yachts is the 36 metre Brigitta, launched in 2003. The planing hull yacht has both exterior design and interior styling by Nuvolari Lenard while naval architecture is by C. Raymond Hunt. 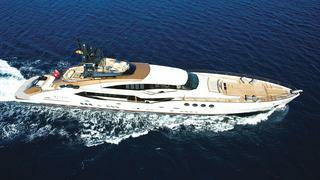 One of the most recognisable Nuvolari Lenard and Oceanco collaborations is Vibrant Curiosity, launched in 2009. The 85.47 metre superyacht stands out for her eye-catching window design. Three vertical windows flow from the main deck up over the sun deck and radomes and down the other side, creating a striking and unmissable exterior design. One of the best Nuvolari Lenard yachts is its first collaboration with German yacht building powerhouse Lürssen. 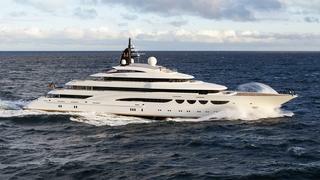 Launched in 2011, the 86.11 metre superyacht Quattroelle features exterior and interior design by Nuvolari Lenard. Her exterior styling is defined by unusual sugar-scoop windows along the main deck. Built for a North American businessman, Quattroelle's name stands for four "Ls": love, life, liberty and luxury, all of which her designers have aptly imbued into the yacht. Yes, Nuvolari Lenard has designed impressive sailing yachts, too. 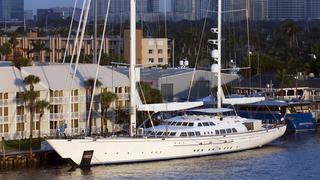 One of the best Nuvolari Lenard yachts, in fact, is the 64 metre Perini Navi yacht Spirit of the C's, formerly known as Felicita West. Designed by a dream team, the sailing superyacht features exteriors by Nuvolari Lenard, interiors by Remi Tessier among others and naval architecture by Ron Holland. 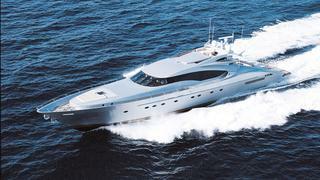 Spirit of the C's is available for charter, accommodating up to 12 guests. 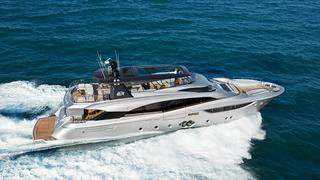 One of the newest yachts by Nuvolari Lenard is the Monte Carlo Yachts' flagship, the MCY 105, launched this summer. Though Nuvolari Lenard are renown for designing some of the largest yachts on the water, they also design smaller boats and have been creating the Monte Carlo Yachts lineup since its inception. The Monte Carlo Yachts family spans from the MCY 65 to the 105, all of which boast efficient, space saving general arrangements and curvaceous exteriors by Nuvolari Lenard. The 32 metre MCY 105 hull No 2 is currently in build. The best Nuvolari Lenard yacht yet to be delivered is already causing quite a stir. 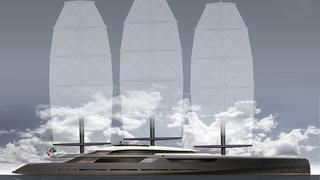 The 105 metre Project Solar under construction at Oceanco will be the largest sailing yacht in the world when she's launched in 2016. (Technically, the 142 metre boundary-pushing Sailing Yacht A is bigger, except for the fact that her owner Andrey Melnichenko classifies his new yacht as a sail assisted motor yacht.) 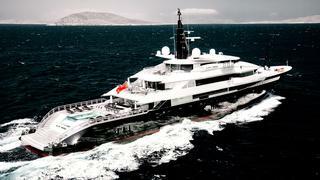 Solar marks Oceanco's largest sailing yacht yet, after launching the 85 metre Aquijo.